This time I would like to share with you a set of 15 bark textures that can be used for example for 3d tree modelling. 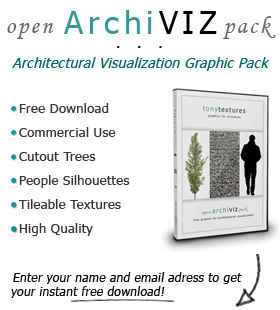 Maybe you like to create the next trees for your architectural visualization on yor own! All textures are seamlessly tileable and saved in .JPG format. This should be a quick beginners-introduction of Sketchup for architects. I want to show you quickly how to make a 3D CAD model of a building using probably the easiest-to-learn software in the field of building architecture: SketchUp. 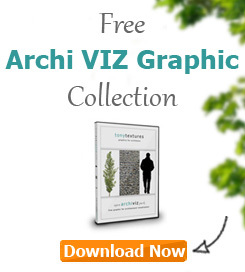 This software can be downloaded for free from sketchup.com. 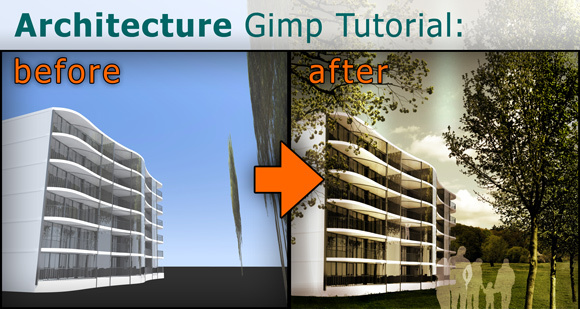 I am very happy to present you this time a tutorial on architecture visualization by Armir Shapallo and Dimitrios Kalemis from the “PHORMIN – Architektur und Digitale Kunst” , based in Munich, Germany. They describe their work for a competition which was actually published several times! Interesting is the fact that they worked with a quite simple 3D Model and put in more effort in the post production with Photoshop which gave them a lot of flexbility as they describe. This time Pia was kind enough to share her experiences with Sketchup when it comes to architecture visualisation. Sketchup has become quite popular in our industry and Pia shares some interesting insights and useful tips for cg architects. Enjoy! As a CG artist, I work with plenty of software during a normal day, but for now I am going to focus on Sketchup. This time we like to share with you a beginners tutorial from Megan about merging a sketch effect with your architecture rendering of an interior scenery. Enjoy it!